Thomas was raised in the Kansas City metropolitan area, where his family lived for approximately 12 years. Thomas graduated from the University of Missouri, and from there went on to the University of Missouri-Kansas City School of Law, where he met his wife. Today, they reside in Leawood with their two dogs. Prior to joining Case Linden, Thomas worked for Sprint in its Real Estate Division, where he gained valuable transactional skills. 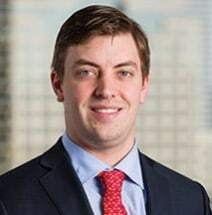 Thomas has broad experience across the civil litigation spectrum, with his practice focusing particularly on consumer law and workers’ compensation law.